SM & Co are on a mission to put the generosity back into jazz and bring art back to the people. They play joyful jazz - music that feels good. 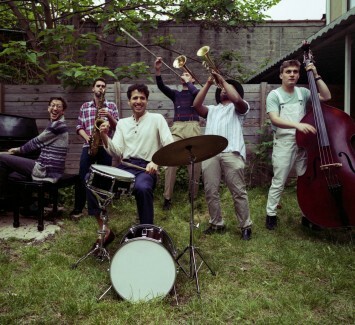 Independently, band members have performed and recorded with notable artist including Wynton Marsalis, O.A.R, Iron and Wine, and Lee Fields at venues including The White House, Lincoln Center, and the Hollywood Bowl. Sammy Miller and The Congregation have opted to stick together and create globally conscious music with the intention to spread joy.